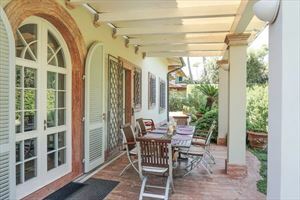 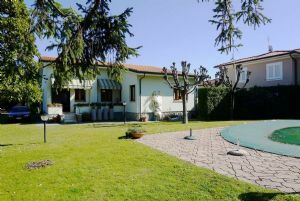 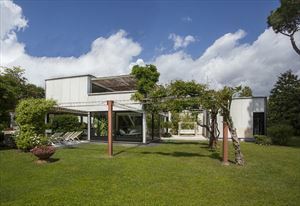 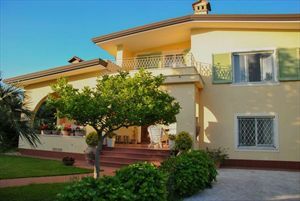 Real Estate Agency Forte dei Marmi : newly built beautiful villa for rent with garden about 800 meters from the sea, in Cinquale. 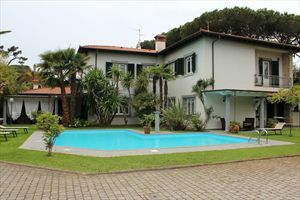 Newly built beautiful villa for rent with garden about 800 meters from the sea, in Cinquale. 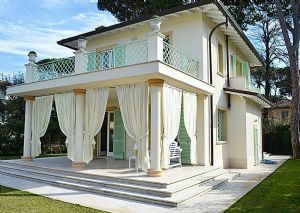 The real estate is arranged on 3 levels and equipped with air conditioning, Wi-Fi, video surveillance. 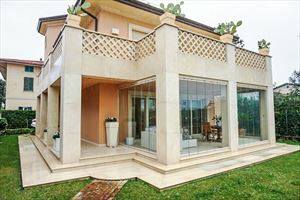 One unit is divided into 2 parts, each of which has its own entrance, living room, dining room, kitchen, 3 bedrooms and 3 bathrooms; sitting room in the basement.